I haven't heard of that issue. Mine is buttery smooth. We have no idea what you mean by "shuddering". while driving the car interrupts fueling for few seconds. make the car shutters. Since your 2nd one has the same issue, have you considered filing a second lemon-law to get it replaced? lemon law states that needs to be in the shop for the same issue 30days or more. i just got the new car last weekend. the dealership knows about it and they currently have it to test drive this one too. if the case of 2nd lemon i will be done with toyota. last car was in the shop since last november and still not done. looks like toyota asked the dealer to install a new engine in the 2018 one. so, now findings as of yet what is causing to shutter. this is happening in the 4cyl. don't know the 6cyl. When it shutters.. what are you doing to the accelerator? Did you depress the brake... then depressed the accelerator as if you are over taking another car? Are you depressing the accelerator up to 60-75 mph then you feel it shuttering? Or is it more of an hesitation ? as if it's trying to find the right gear..
usually the shuttering is happening while driving on cruise control. is like an hesitation. Shoot a video of the tachometer to show us and the dealer that the motor is behaving as if its starved for fuel momentarily when driving at 65-70 mph. 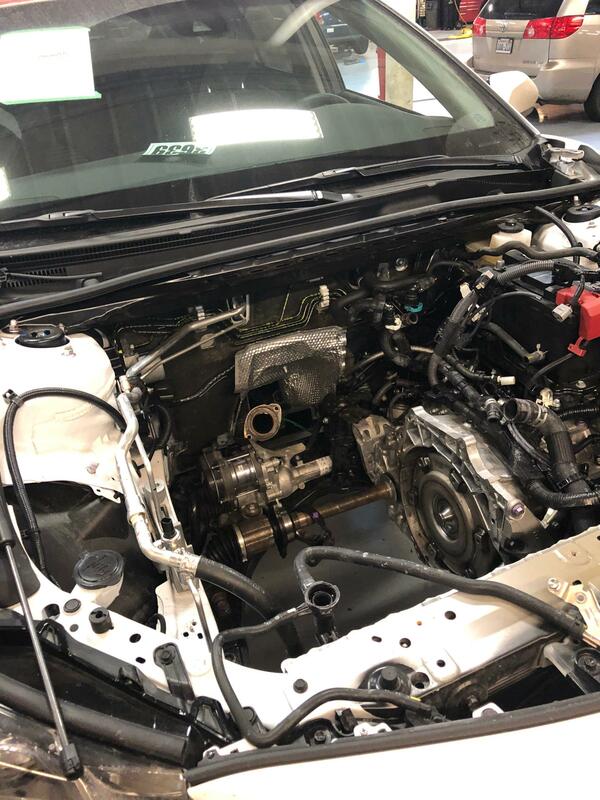 All 4 cyl owners experience a momentary hesitation upon abrupt acceleration, but they are a normal characteristic of the car. My V6 has the same hesitation when I floor it. The RPM's jump but the car doesn't grab and accelerate for 1-2 seconds delay and that's in sport mode. Once it finally accelerates then if feels like a V6. lemon law states that needs to be in the shop for the same issue 30days or more. .
Not sure about that 30 day thing, but the vehicle must have been into the dealer 3 or more times for the issue to qualify as a lemon law complaint. What did the dealer do in their attempt(s) to repair the vehicle? The exact conditions for lemon law vary by state. Mine does this on occasion when I’m using cruise. I don’t t think it is the engine itself I thought it was the transmission. When driving at a set speed with cruise control on it will feel like the transmission shifts or like I drove across a bridge expansion joint though there is nothing in the road. Noticed this on a recent 600 mile trip. Didn’t really occur to me that it is a. Significant problem just a little off behavior from the car. I only recall this happening when using cruise control and never while operating the accelerator manually. 1st, they changed the torque convertor and symptom was still there. 2nd, changed few of the injectors symptom was still there. 3rd, they took the engine out like you see in my original post and now the Toyota made the decision to just change the engine. so no diagnostic yet.